The new year is right around the corner and with the all-too-common adage of “New Year, New Me” undoubtedly comes New Year’s resolutions, the most popular of which are losing weight and eating better. However, with less than 10% of individuals ever really accomplishing those goals, it’s a disappointing reality that creating, and sticking to, new habits aren’t easy—and they only continue to become more difficult the older we get. Thankfully, the world of technology is rife with gadgets and geared designed to help you get—and stay—in great shape. From wearable devices to personalized workouts geared to your exact genetics, here are some of the best pieces of “fit tech” on the market. One of the pioneers of wearable fitness tech is Polar with their wide array of heart-rate monitors and watches. Their newest addition, Polar Balance, is a smart-scale that syncs with your existing Polar device and the free Polar Flow app to provide motivation, customized workouts, advice and activity tracking to help you reach your goals (whether it’s to lose weight or put on muscle)—and celebrate small milestones along the way. Find Polar Balance on Amazon. A great indicator of reaching your fitness goals (beyond just a number on the scale) is knowing your body’s fat percentage compared to muscle. Traditionally, the only way this could be tested was by a professional. 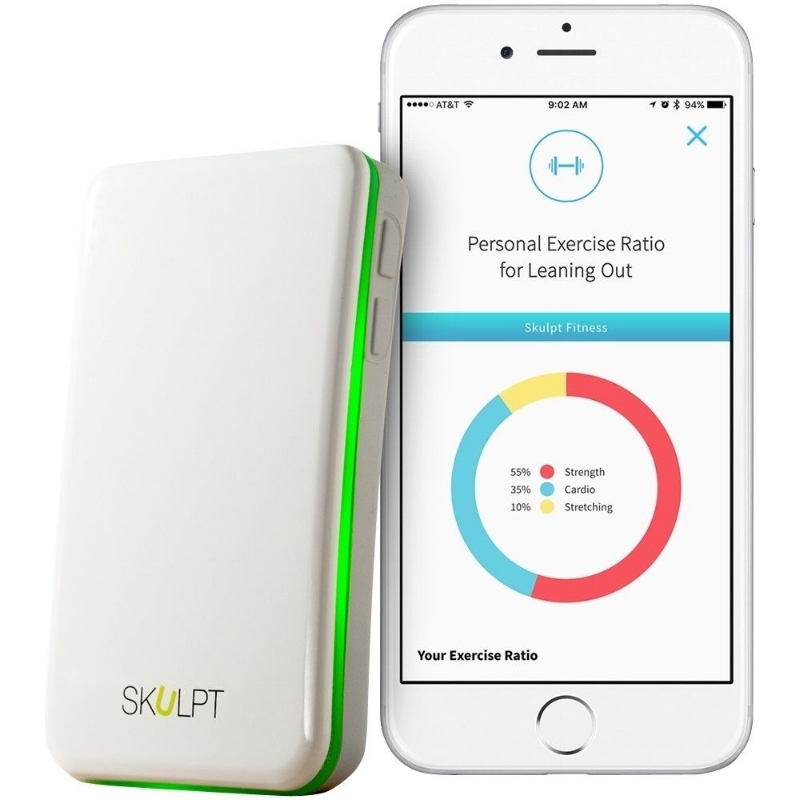 Now, the Skulpt Scanner allows users to determine their muscle quality and fat over a specific region using a handheld device that sends (painless) electrical currents through the body to measure the resistance. It then uses this data to create customized fitness and nutrition guidance based on each person’s own physiology. Skulpt Scanner also tracks progress over time and can adjust workouts and nutrition plans to prevent users from reaching the dreaded plateau. Find Skulpt Scanner on Amazon. For exercisers who prefer their workout with a side of social media, Strava is a network that will not only track and analyze your runs, rides and swims, it also links you with fellow athletes in your area to connect with and encourage each other. Members can compare their efforts to their peers, create clubs and share the best places to ride and run. The app also serves as a hub for storing all of your detailed information on your gear from bike maintenance records to keeping track of your running shoes. Download Strava on the App Store and Google Play Store. The company known for its gym and fitness apparel has released a series of wearable tech that includes smart sneakers designed to track and analyze your runs (including time, distance, splits and more) as well as a line of sleepwear geared towards helping athletes recover overnight. Using what they call TB12 technology, the clothing absorbs your body’s heat while sleeping and reflects a type of energy called Far Infrared. Shop the entire Under Armour collection on their website.